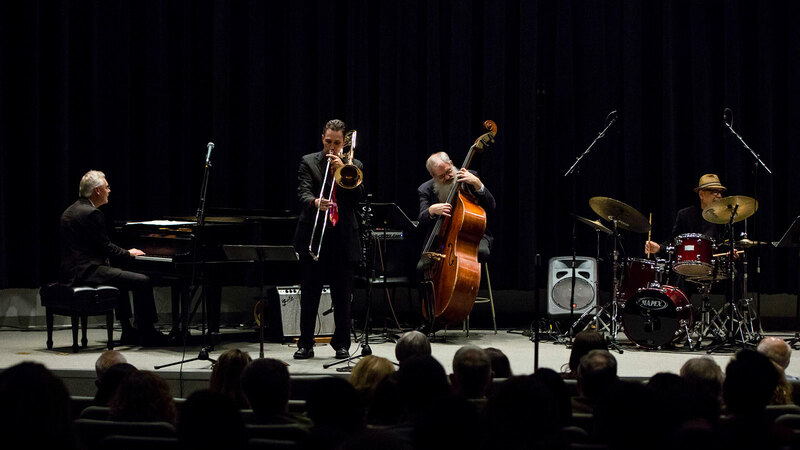 The 2017 UCF-Orlando Jazz Festival included performances from guitarist Peter Bernstein, trumpeter Leroy Jones and The Jazz Professors. 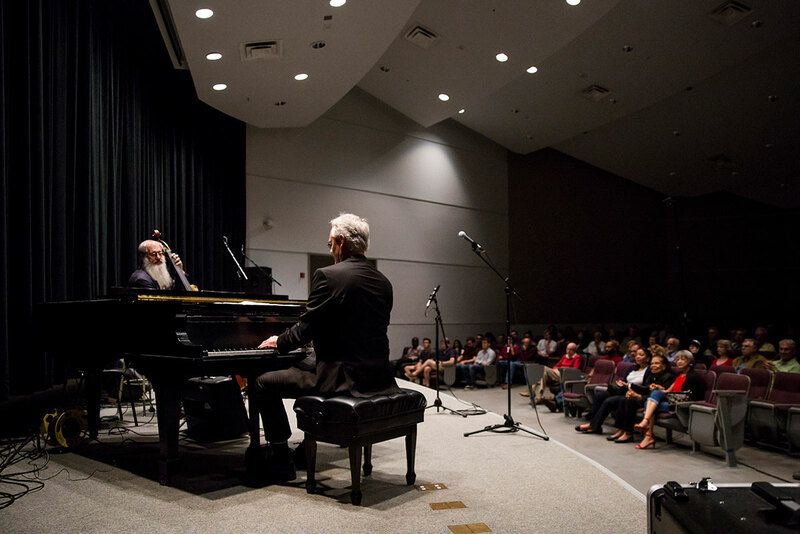 In March, UCF presented its ninth annual UCF-Orlando Jazz Festival. 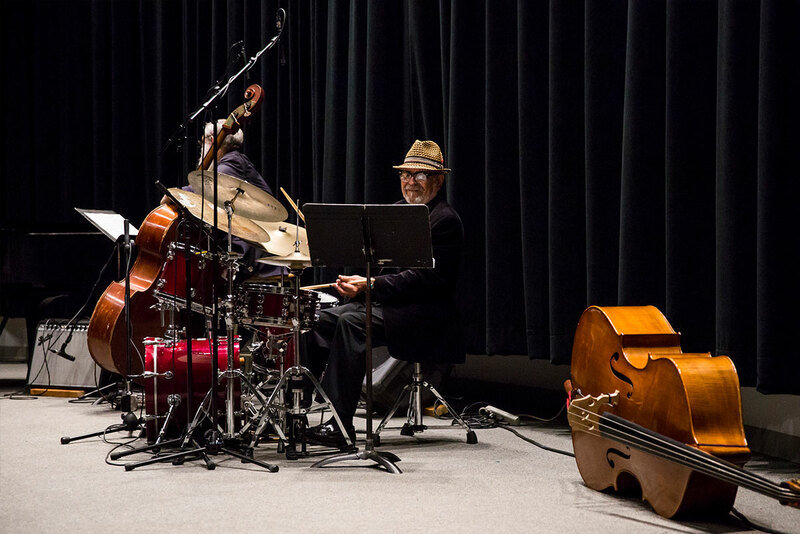 The event provides a platform for students and serves the community by bringing diverse, world-renowned jazz performers — from 88-year-old Benny Golson to 22-year-old Veronica Swift — to Central Florida. 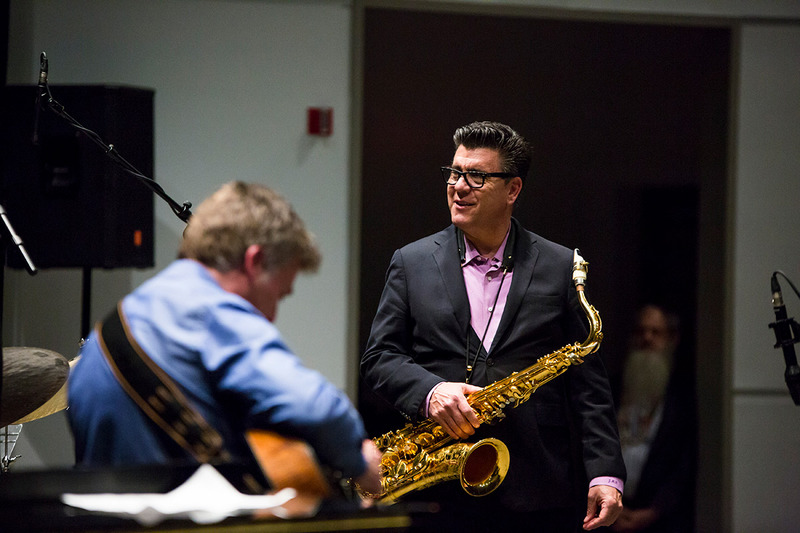 This year’s festival included performances from guitarist Peter Bernstein, trumpeter Leroy Jones, The Jazz Professors, the Flying Horse Big Band and five Florida high school jazz bands. 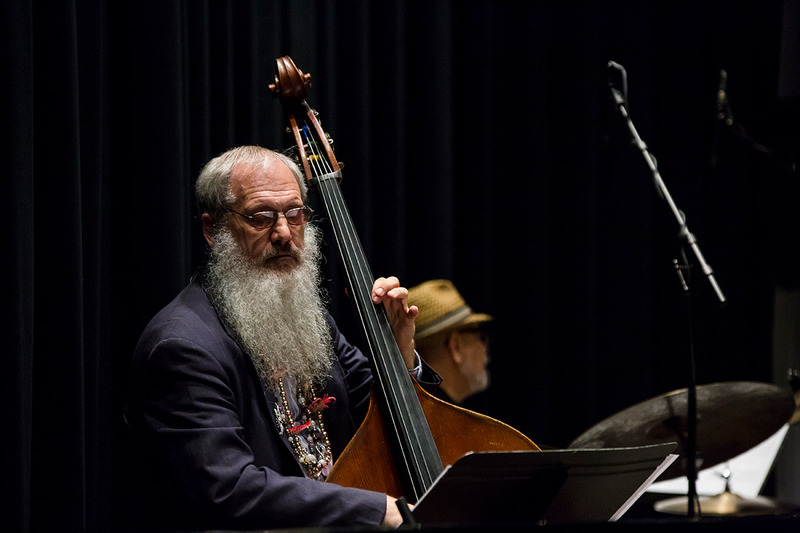 “Jazz festivals are an important part of keeping the music going, they have been for decades,” says Richard Drexler, instructor at UCF and bass player for The Jazz Professors. “Having one here gets the opportunity to have famous, world-class players come that normally would not be here. “I grew up with music in Illinois, living about two hours from Chicago. We would regularly drive to the Jazz Showcase or other venues and hear the famous players, that we all listened to on records. Those venues are few and far between; whereas nowadays, the younger players have incredible access to basically everything ever recorded with Spotify, YouTube and so forth. 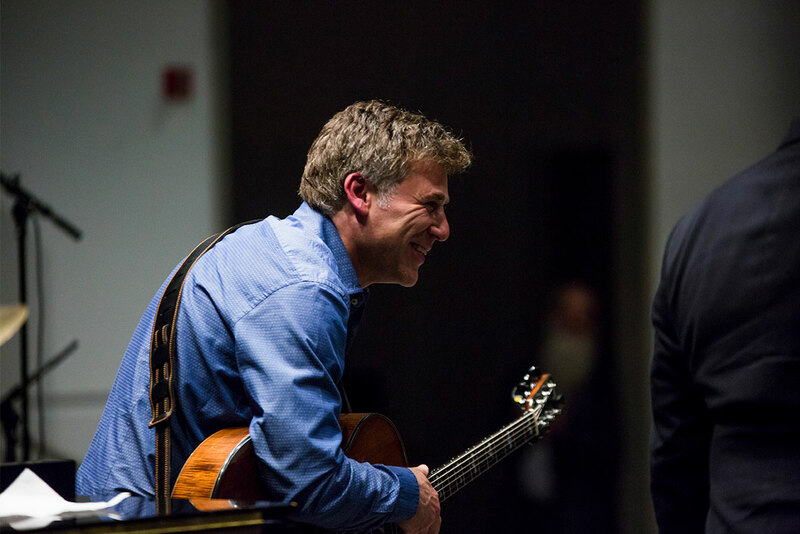 Jazz guitarist Peter Bernstein was one of the headline acts at the 2016 UCF-Orlando Jazz Festival. Instructor Marty Morell plays the drums for The Jazz Professors. 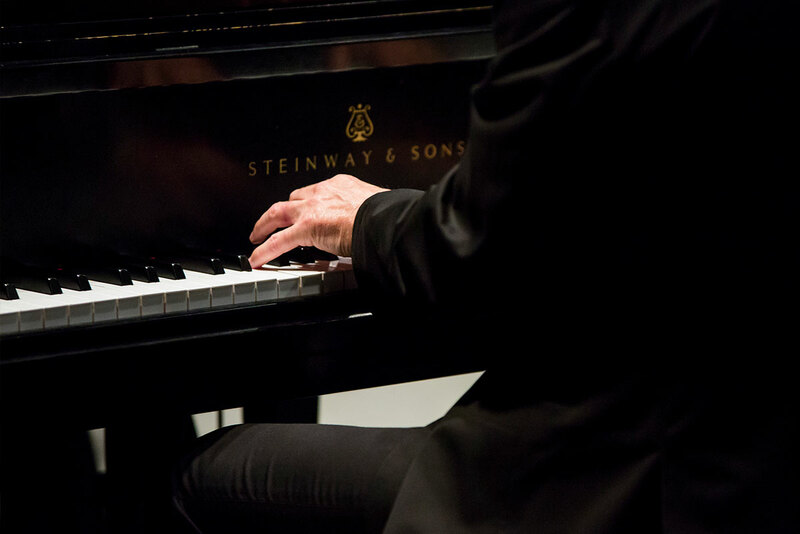 Assistant professor Per Danielsson plays piano for The Jazz Professors.